Delivery time: 15-30 days after receipt of deposit. DrainTop worksurfaces gently slope from the containment rim to the sink area for improved drainage. Drain board sections are curved raised ribs that facilitate glassware drying and improved cleanups. The sink area accommodates single or double Dropln Sinks. 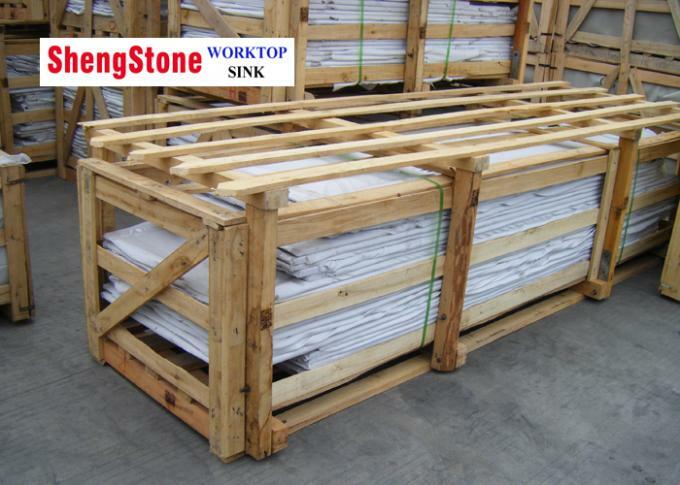 Flexibly designed,DrsinTop can be used at the end of islands and peninsulas or in wall runs as 51",57",63" or 69"(1295,1448,1600,or 1753 mm) sections. A) And laboratory common high temperature 600 degrees, not foaming, not broken, especially suitable for a long time to place the combustion furnace ventilation cabinet. 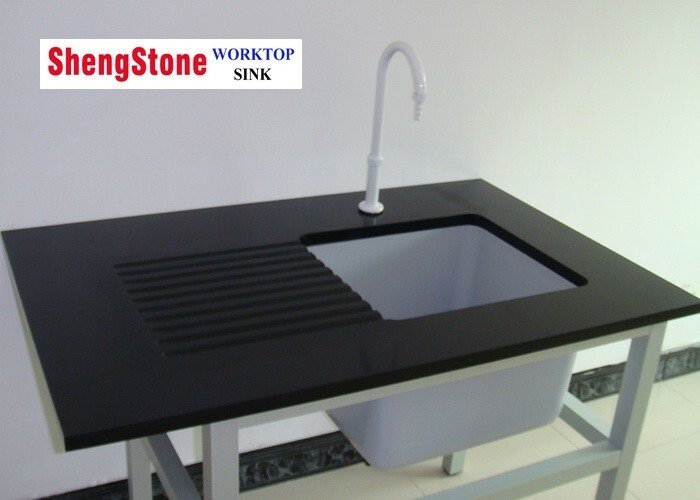 The epoxy resin worktop with low water absorbition, does not absorb moisture in the air, the installation will not warp deformation, especially suitable for the operation of splash zone. Surface is smooth, no stoma, not to hide the dirt, effectively restrain bacterial growth, such as the SARS virus, etc.,especially suitable for the medicine and biological laboratories. Do not contain asbestos ingredient, nonflammable, non-conductive, do not produce poisonous gas when heated, will not violate the safety and health of operator. Inert materials have strong resistance to most corrosive chemicals. Unique 19mm thickness, the market is the highest price of the laboratory table system. Smooth surface (MATT finish) , light reflection, easy to clean, easy maintenance. Ensure the color of different batches of products is permanent, can be used for multi color selection. China Good Quality Epoxy Resin Worktop Supplier. Copyright © 2018 - 2019 epoxyresin-worktop.com. All Rights Reserved.